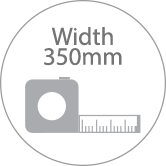 Quantity discounts up to 15% are automatically applied at the checkout. Please be aware that this can change daily. 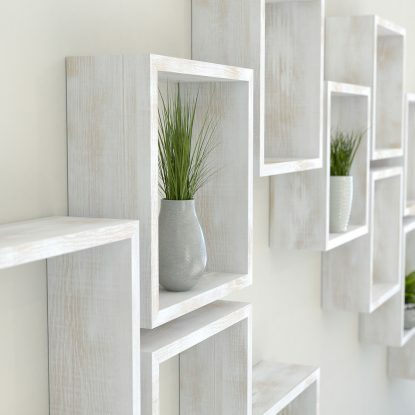 Hexagon shelves offer the customer an endless combination of creative possibilities. 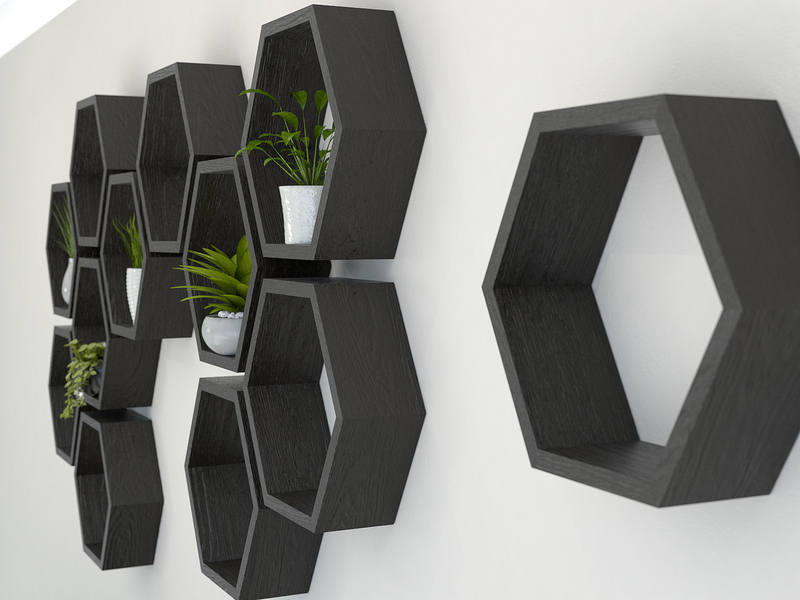 You can arrange our hexagon shelves in any way you choose to create a truly original wall feature that combines beauty with functionality. 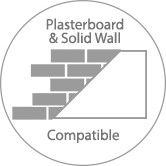 Customers can use our range of finishes to add further depth to a feature. Mixing different combinations of painted and wooden shelves can create stunning effects. Suitable for use in the home, modern office, salon, shop interior, bistro or boutique hotel. 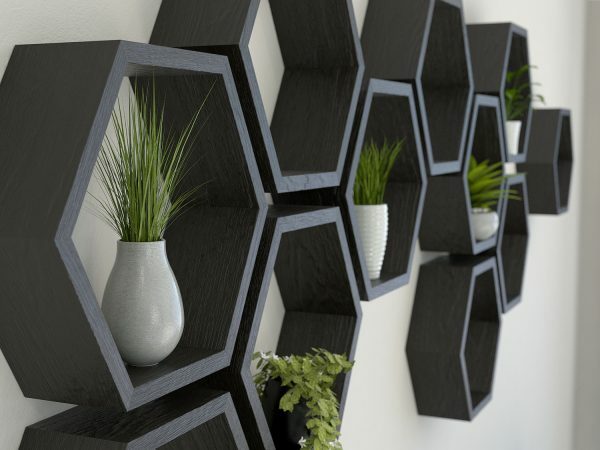 The hexagon shelves are ideal for storing everyday items and displaying objects d’art and ornaments to great effect. 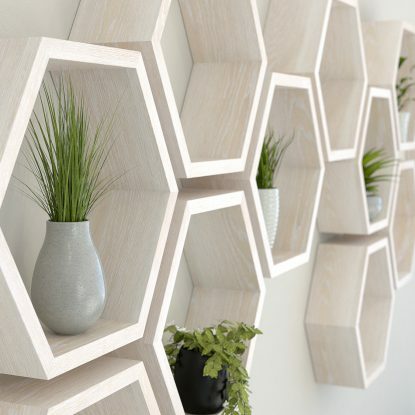 Get creative and arrange your hexagon shelves in different quantities, patterns and sizes to produce a fantastic centrepiece that is endlessly versatile. 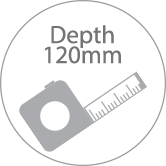 If you would like to gap your new shelves at a perfect 30mm spacing as we have done, then don’t forget to take a look at our hexagon shelf alignment tool. 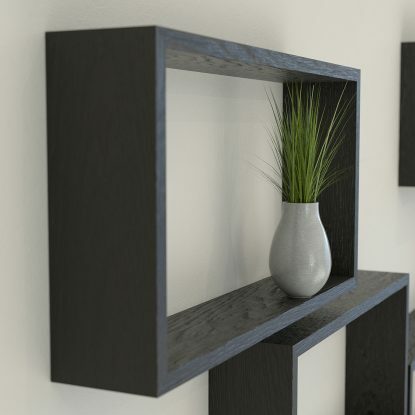 You can order our hexagon shelves in a wide range of oil and paint finishes, shown here in our black oak dye that beautifully enhances the grain. 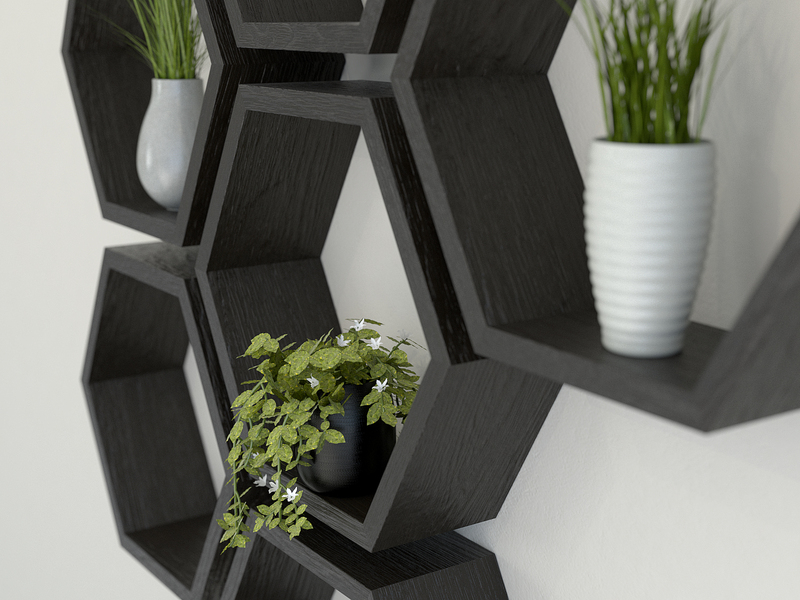 The honeycomb shelves are crafted from solid American oak that is sourced from sustainable woodlands. At 120mm deep we mount these shelves using completely concealed fixings for a clean, seamless installation. Once in place, your honeycomb hexagon wall shelves are easily maintained and are designed to last a lifetime. 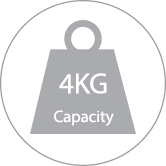 Please note that all dimensions stated below are internal. Handmade to order by us in the Cotswolds. 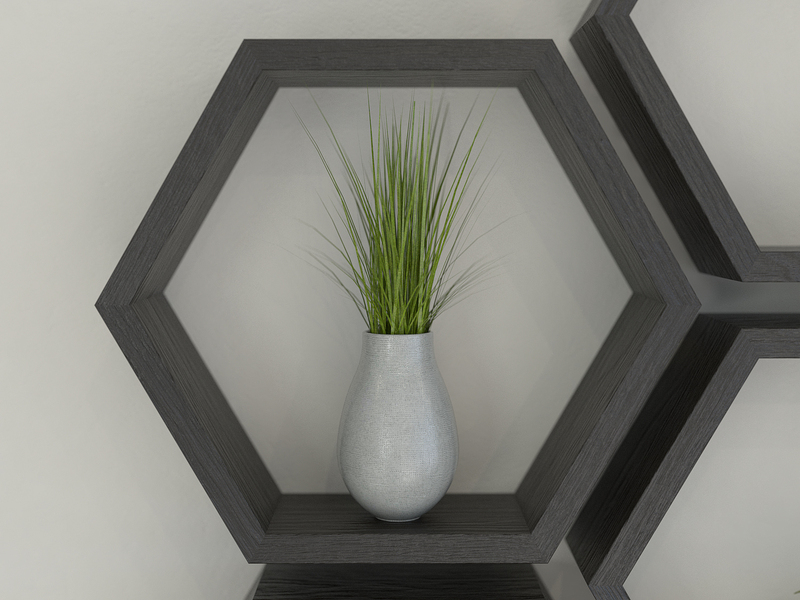 We will make your hexagon shelf, pre drill it for fixing and apply your desired finish. Your new shelf will come with everything you need for quick home assembly. For delivery information please see our delivery page. 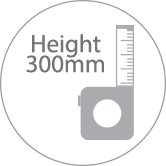 Head to the “Video” tab above for our handy visual guide on how to fit our hexagon shelves.